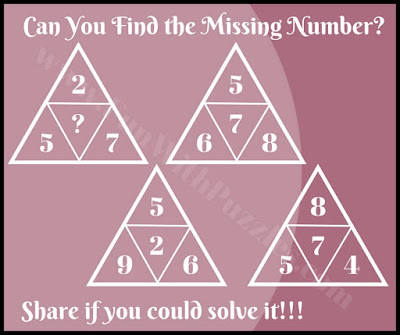 Mathematical IQ Riddles are very much fun to solve. 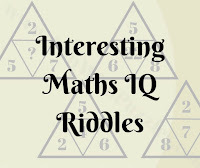 Earlier we have published many Math IQ Riddles in which one has to find the missing number. 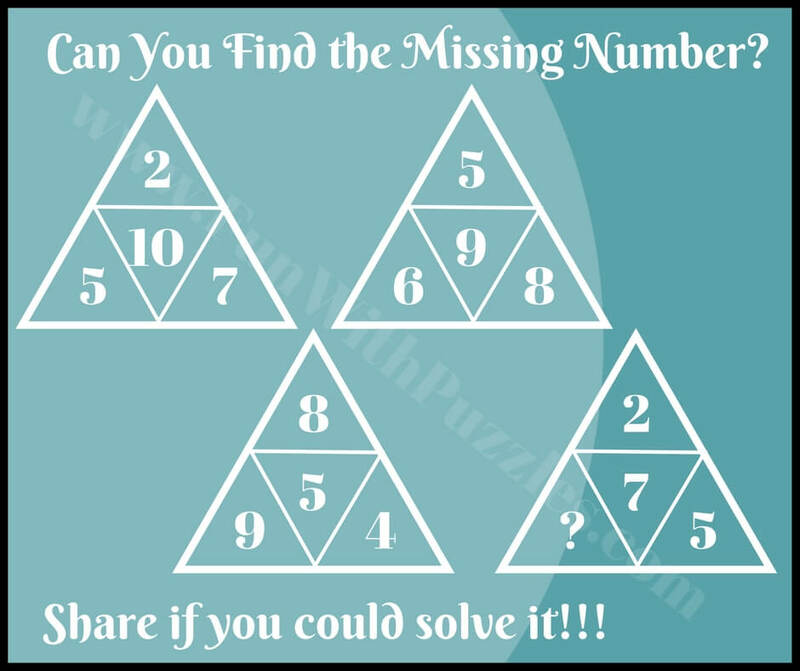 In most of these math brain Teasers, one is given a set of few numbers which are related to each other or follow some sequence. 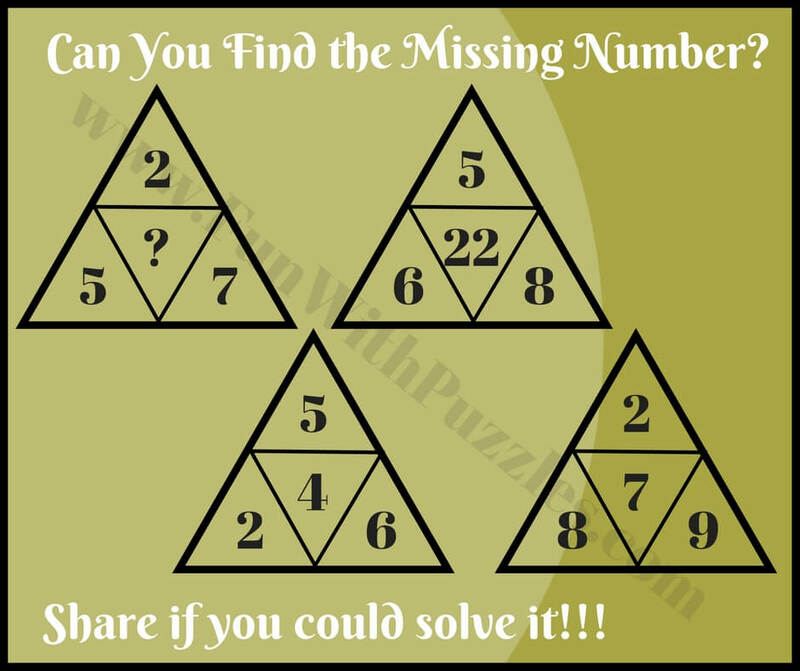 Challenge is to find the relationship between these given number and the solve it for the missing number which will replace the question mark. 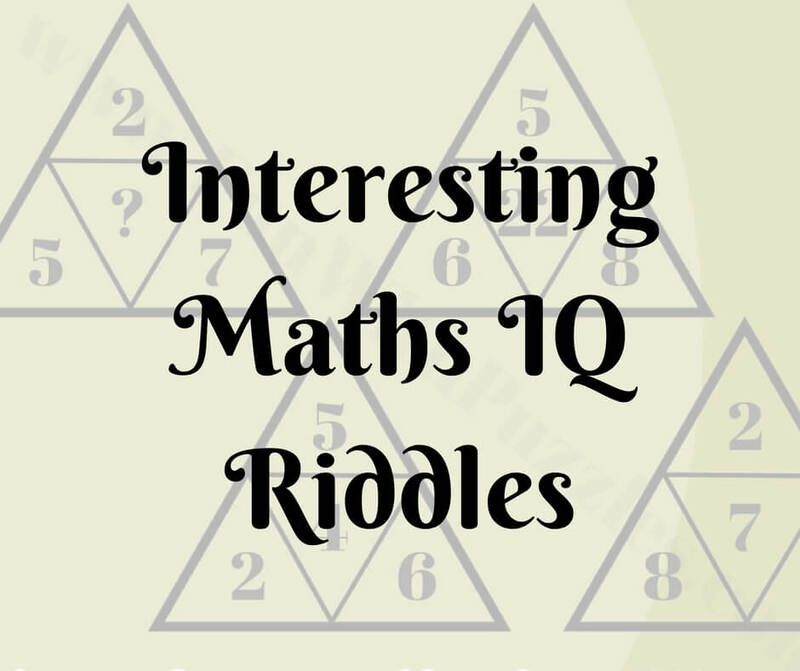 In these Math IQ Riddles, four numbers are given inside a triangle. These four numbers are related to each other. 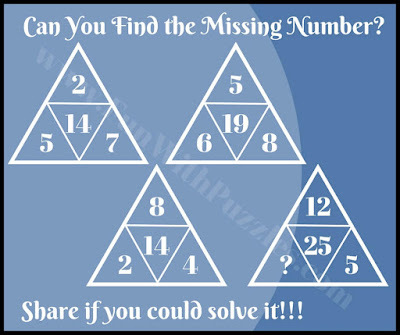 There are four triangles each having four numbers. 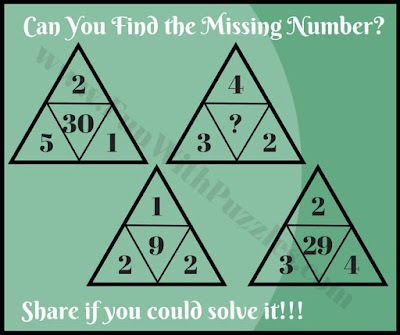 The same relationship among these four numbers is repeated in each of the triangles. One has to find these relations and then tell the number which is missing in one of the triangles. 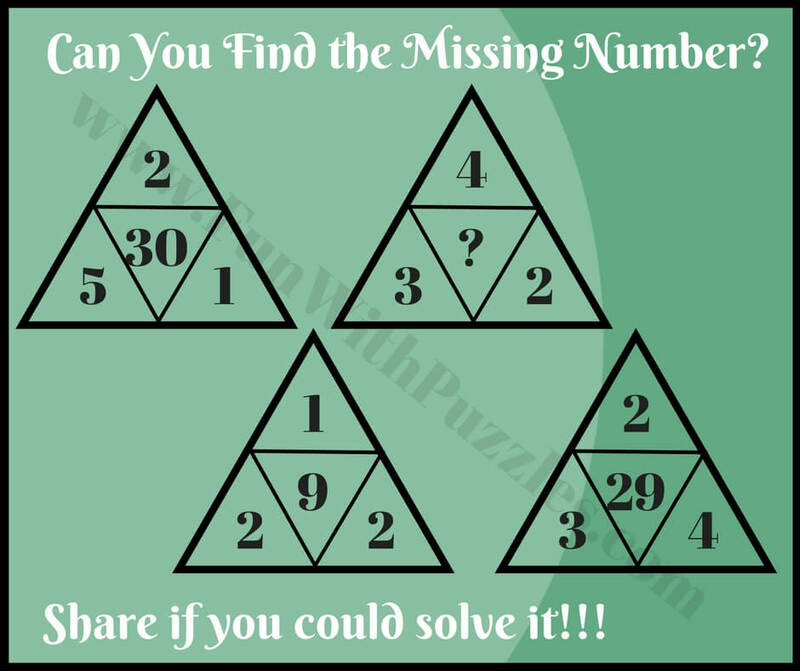 So are you ready to take this Math IQ challenge? 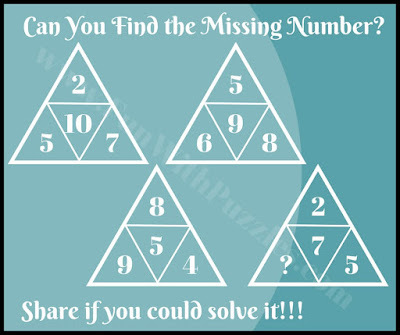 Most of these IQ Riddles are easy. 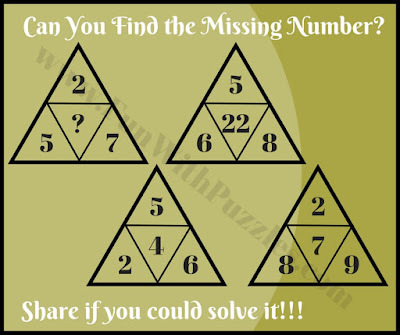 However, at the end couple of these riddles are comparatively tough which may shake your brain. 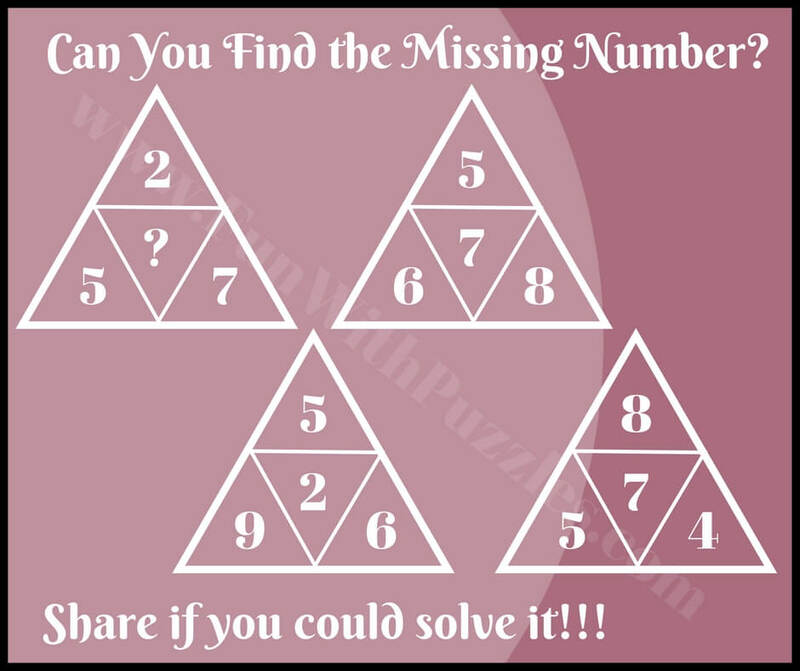 Answer to these puzzles are given at the end of this post. Do post your answers in the comment section.